The Tourism Promotions Board (TPB) is set to host the country’s biggest and significant travel trade event – the Philippine Travel Exchange (PHITEX), on September 4-6, 2016 at Marriot Grand Ballroom. In line with the Visit the Philippines Again 2016 (VPA) campaign, this year’s PHITEX is set to once again promote the country as the premier tourist destination among some of the world’s biggest travel and tour buyers. With this year’s theme “#PHITEX2016: Bigger Business”, TPB is bringing a larger and improved PHITEX with more sessions allocated for business-to-business interactions and better designed pre-tours and post-tours. affordable tour packages in the country. 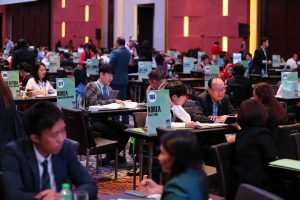 Now on its 15th year, PHITEX has been continuously sustaining the growth that the Philippines has gained in the global tourism market. Copyright©2019. PHITEX. All rights reserved.